Click a thumbnail above to view the full-size image. 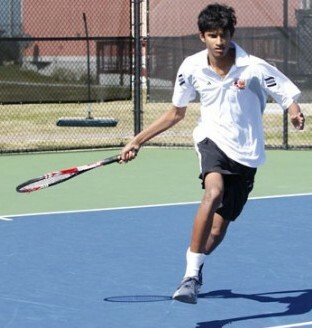 Loyola University New Orleans sophomore tennis player Tarun Surat is ranked No. 17 in the National Association of Intercollegiate Athletics South in men’s singles entering 2014. The rankings were announced May 31 at the conclusion of the 2013 season. Surat is the only member of the Loyola men’s tennis squad to be ranked in the top 20 in men’s singles in their conference. Surat completed a successful freshman year for the Wolf Pack. Accolades achieved by Surat during his debut season include NAIA All-American honorable mention, first team All-Southern States Athletic Conference and Freshman of the Year in the SSAC. He also received the NAIA Champions of Character Award, presented by the SSAC. Surat played an instrumental role in helping the Pack secure their first SSAC tournament victory in program history when he and fellow first-year teammate Jaron Belcher defeated Ty Smith and Pasha Zenchenko of Emmanuel College in Franklin Springs, Georgia. Surat then defeated Smith in singles to ensure a 5-4 Wolf Pack win.